Macedonian is a South-Slavic Indo-European language and the number of its speakers is estimated to 2.5 million people. Therefore, this language occupies the 180th place in the world by the number of speakers. It is maternal language in the region of Macedonia as well as in the regions of Macedonian diaspora (in Greece, Serbia, Albania…). Along with Bulgarian language, it makes the Eastern group of Southern-Slavic languages. In the present Bulgaria a predominant opinion is that Macedonian language actually originates from one of the Bulgarian dialects, while it is recognised as an independent language in the world. Its orthography is Macedonian version of Cyrillic which consists of 31 letters. Modern Macedonian alphabet is founded on the scripts/orthography composed by Krste Petkov Misirkov and Vuk Karadžić. It is the official language in the Republic of Macedonia, and also has a status of a minority language in Albania (Pustec, Gorica), Romania (regionally), and in Serbia (Plandište, Glogonj, Dužine, Kačarevo, Jabuka, Kosovo and Metohija). It is regulated by the Institute for Macedonian Language “Krste Misirkov” at the University of “St. Cyril and Methody”, Skopje. Translations of general professional documentation from Serbian to Macedonian language. 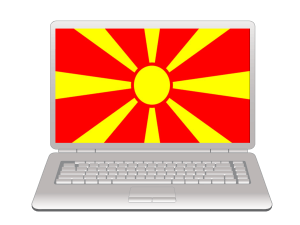 Translations of general professional documentation Macedonian to Serbian language. Translations of general professional documentation from Macedonian to another foreign language. Translations of general professional documentation from another foreign language to Macedonian. Translations of narrowly specific professional areas from Serbian to Macedonian language. Translations of narrowly specific professional areas from Macedonian to Serbian language. Translations of narrowly specific professional areas from Macedonian to another foreign language. Translations of narrowly specific professional areas from another foreign language to Macedonian.